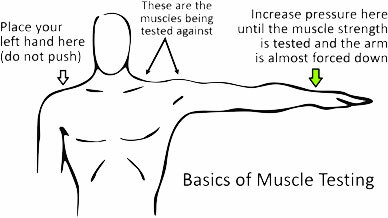 Muscle testing involves testing the arm, or another body part, for strength or weakness, in response to an object, a form of kinesiology. We are all energy, reacting and responding energetically. Muscle testing can be performed on your self or on a friend.